Today, I write my latest blog post on the back of a very enjoyable day. A day where I delivered some digital marketing training to Jamie White from Jamie White Marketing.com. When anyone becomes an Elite member of the Six Figure Mentors I provide them, when they join my digital marketing and Six Figure Mentors team, a bonus training package. This consists of one on one weekly coaching calls on Skype, access to a private Facebook group, their own copy of our team website at Ten Point Success Formula.com, and a number of other bonuses. Full details of the advice and guidance that I give to my Six Figure Mentors team is set out for you at this Six Figure Mentors information page. Digital Marketing Training Day One – An Enjoyable Event Jamie White! I hold these digital marketing training days on a Thursday and a Friday between 11 a.m. and 4 p.m. My objective is to be extremely supportive to those who join my business and put them into the best place possible to succeed with a home based business working online. I have made this year tens of thousands of dollars. This has been achieved as a direct result of the marketing system I have personally created and which I now share with my team members. 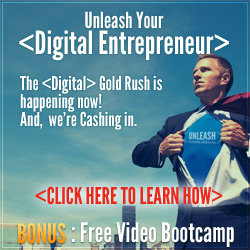 I have also experienced a much more successful year with my online home business as a direct result of the collective coaching I have received from the Six Figure Mentors, Digital Experts Academy, Stuart Ross and Jay Kubassek. Without my own products and services and the mentoring I have received, paying many thousands of dollars for this education, I would not be in a position to help those that connect with me and help them achieve their own goals in life. Having experienced online business success myself this year, I set about setting up a digital marketing training and team support system. A part of this is the two day digital marketing training I deliver to my Six Figure Mentors Team. I must say what a very enjoyable time I had with Jamie White and the delivery of the digital marketing training days are an element of my business that I really enjoy. I share everything that has helped me pull in the numbers I have seen this year. Digital Marketing Training Day One – What Mark Ford Covered! Here’s a summary of what we covered. Digital Marketing Training Session 1 : Consumer of the Product. I have seen many people when they start out, not open the tin. What do I mean they do not open the tin of the product that they have just spent their hard earnt money upon. A product that has been specifically put together to give them a solution to their life problems, and yet they do not become a consumer of the rpoduct. My own results in my business changed in a big way when I committed some of my ‘work time’ to simply learning about the product I had just purchased and working out a system on how I could get the maximum benefit out of it. During training day one I cover the importance of being a consumer of the products you have purchased, especially if you are going to promote the product for a commission yourself. How can you have credibility in the eyes of the person buying products through you if you do not know what the digital marketing and information product is? The information I share in this presentation helps my team member learn when to say yes or no to the opportunity seeker and avoid the opportunity seeker syndrome that is so destructive in an online business. I share the importance of understanding the actual business you want to build, because without knowing this you could end up having built a business in a couple fo years or so that you just hate. Before starting any home business why not map out the business you want to build. This is an exercise that we go through on the digital marketing training day and then if somebody offers us a business, product or service and it does not have the elements of the business that we want to build, then you have just learnt how to say… NO! Here’s a few examples of what I look to create in my home business. 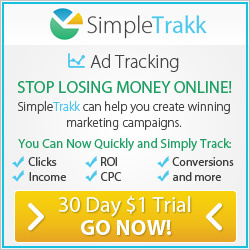 Digital Marketing Training Session 3 : The Simple Marketing System – Keep It Simple – It Doesn’t Need To be Complicated! During day one of the digital marketing training we map out the road from where we start out through to when the money comes in. Too many may think that when we sign up the money arrives easily and when they do not see that happen they quit to soon. It’s not about getting rich quick. Building and starting a home business is no different. It requires work and anything worth having is worth working for. If we do not put in place the foundations, the bit in the middle that is, then the money will not flow. Websites, sales funnels, marketing strategies, your own business systems need to be put in place. That is not possible for many without committing to the learning curve required to get yourself into a place where you can actually make money online. We cover all this in this digital marketing training module and work through all the elements that must be in place to have a successful home business working online. Digital Marketing Training Day Two – What Mark Ford Covered! What about the digital marketing training we cover on day two. 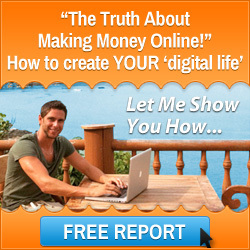 Click here to learn more about this in my separate digital marketing article. If you would like to get access to this digital marketing training, which is totally complimentary and a bonus product from Mark Ford, then you will need to make an application to join my Six Figure Mentors team. Watch the video presentation below and then click the image below the video from Jay Kubassek, one of my online business mentors. 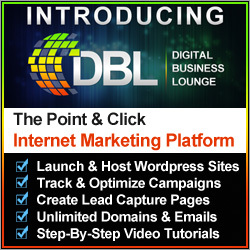 Click the banner image below to get started with your own home business, learn all about making money online with digital marketing and I invite you to come and meet my Six Figure Mentors team. This entry was posted in Digital Marketing, Mark Ford, Six Figure Mentors, Start Home Business and tagged digital marketing blog, digital marketing training, digital marketing training day, mark ford, mark ford six figure mentors, six figure mentors. Bookmark the permalink.